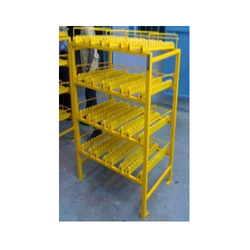 Our team is experienced and expert enough to manufacture Storage Rack System with strict adherence to the set norms and regulations of the industry. 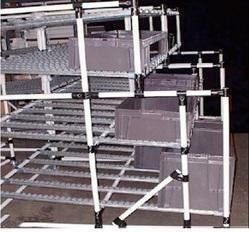 Our numerous customers can avail Modular Storage System, Heavy Duty Storage Rack System, etc. Our storage systems are very-ideal to store various goods with complete safety. Appreciated for robust construction and long functional life, our systems are available in various specifications. 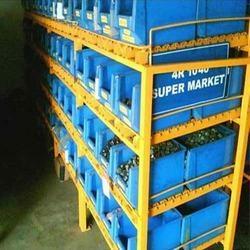 Carving a niche in the market, we are offering Storage Rack with Roller. Our range of storage racks is made of quality-approved raw material and used to store various goods. There are various shelves in our racks for a systematic storage of the products. 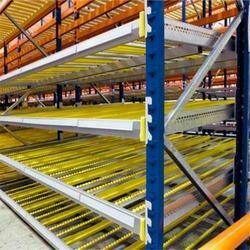 We also check the quality of the racks on the basis of various parameters. Our Modular Storage System is made of the quality-approved raw material, which is procured from a certified vendor base of the industry. Our whole gamut of systems is manufactured with strict adherence to the existing norms and standard of the industry. This range of systems is ideal to store various goods with complete safety and care. 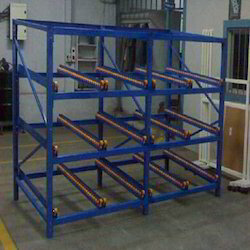 Leveraging on our state-of-the-art manufacturing unit, we are presenting Heavy Duty Storage Rack System. Our array of systems is made of a factory-tested raw material, sourced from a trustworthy vendor base. We also examine the systems on the basis of various widely recommended parameters. The offered Dunnage Storage System is ideal for heavy-duty applications in industrial usage as well as other applications. We also offer the system within the promised time period to the end user. 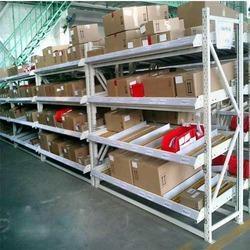 Our Storage Rack With Roller Track is widely used in various industrial applications. This entire gamut of tracks is manufactured using factory-tested raw material and cutting-edge technology. Our tracks are checked on the basis of various industry defined parameters. 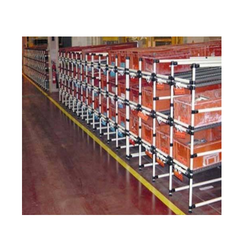 We are offering a FIFO Rack, which is available in various sizes and diameters. Our whole range of pipes is made of quality-approved raw material and latest technology. This range of pipes used in various industries. Owing to this, our pipes are checked on the basis of various widely defined parameters. Counting on our many years of rich industrial expertise, we are offering FIFO Flow Rack System. This range Roller Tracks is made of factory-tested raw material and latest technology. Manufactured complying with the rules and regulations of the industry, our tracks are checked on the basis of various recommended parameters. With immense expertise in this domain, we bring forth a wide array of Steel Storage System for our valued customers. These storage systems are highly capacious in order to meet the variegated requirements of the customers. 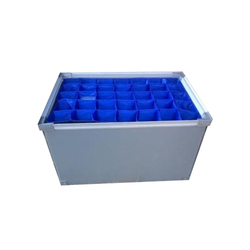 The entire array is precisely manufactured by making use of an optimum quality range of material in accordance with the industry standards and norms. We are offering Pigeon Hole Rack System to our customers. Looking for Storage Rack System ?